People ask us about the food that we cook in the van and in the XL Ridgemonkey all the time. The biggest question of them all is ‘How do you cope without an oven though?’ That’s when I start talking over excitedly about the amazing Sandwich Toaster range from RidgeMonkey. Originally designed for Fishermen to whip up their catch into a tasty snack by the side of the River, the Deep Fill Sandwich Toaster (affectionately named ‘The XL Ridgemonkey”) allows you to create an oven on top of your gas burner hob. Yeah, now I’ve got your attention! The RidgeMonkey Toaster has this really nice premium look to it, probably because the aluminium looks darn fresh, but when holding it and using it on a daily basis you can just feel that this thing is very solid and will last you for years to come. With it’s ingenious handle locking design, you can flip the ridge monkey over and cook on both sides, meaning you don’t have to keep opening it up and letting all of the heat out to flip your meal over. It’s great for fish, but we’ve also used it to cook Veggie Burgers, Roast Potatoes, Roasted Vegetables, Sausaged, Baked Camembert and many more tasty dishes! It comes in two different colours and two different sizes, the normal Toaster and the XL, we’ve used them both and we personally think the original is just too small to really cook anything worthy of calling a meal, but the RidgeMonkey XL is perfect and it can cook a meal for two no problem. Check out a few of the dishes we’ve made below! 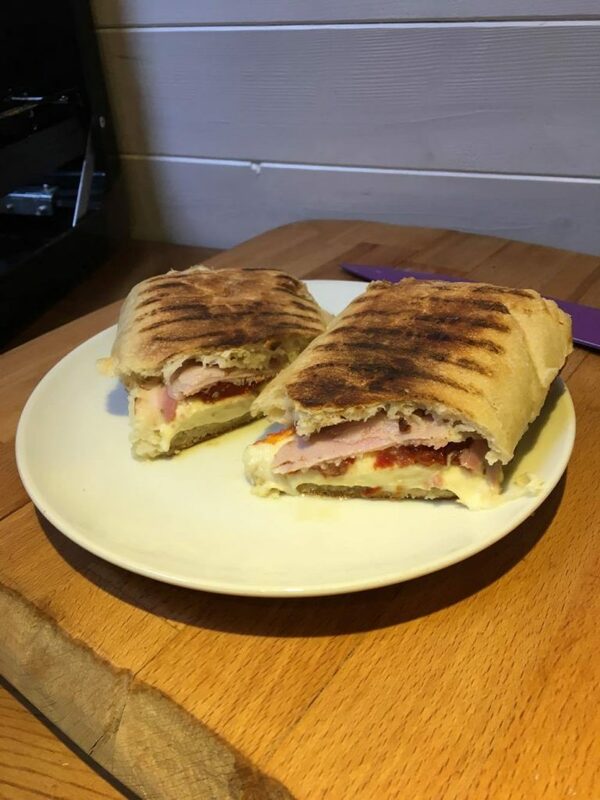 Bree, Sun-dried Tomato and Italian Porchetta Panini. Mouthwateringly good! 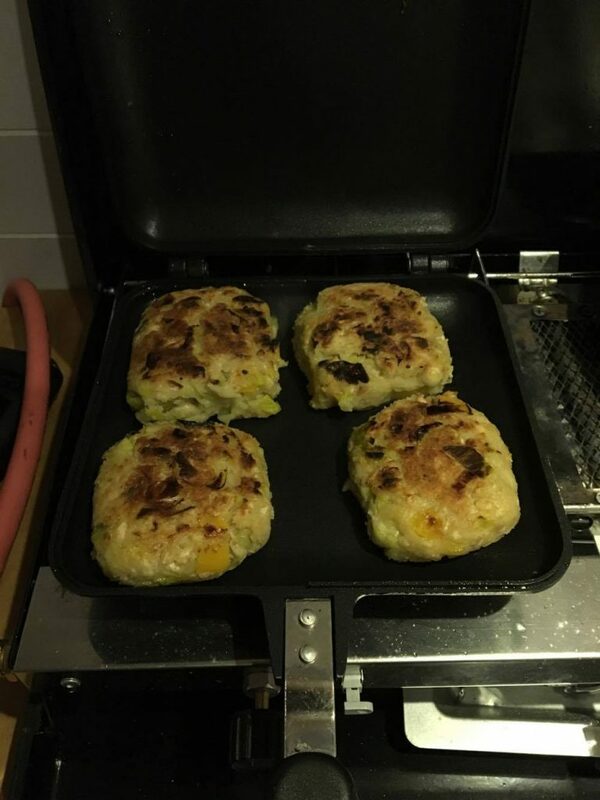 Canalini Bean, Pepper and Leek Veggie Burgers. These came out a treat! 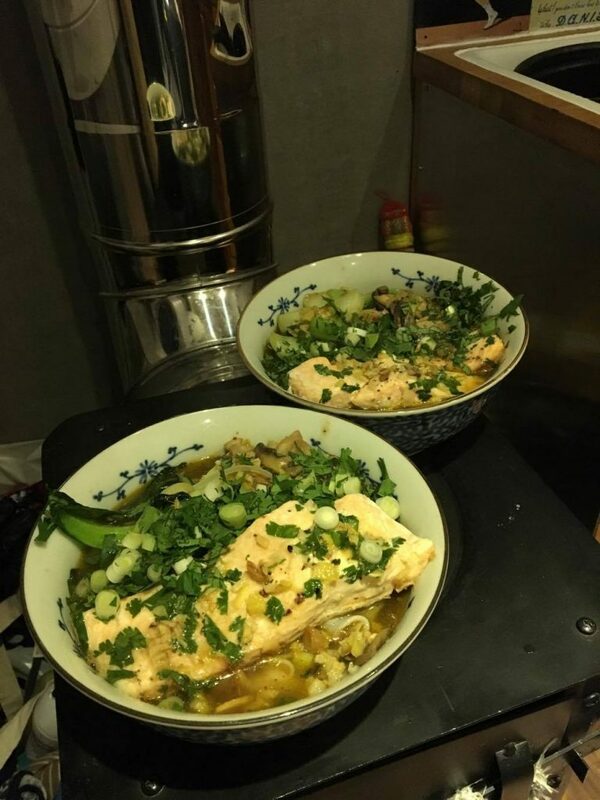 Asian style salmon with aubergine, mushroom and noodles. Overall we’re giving the XL Ridgemonkey Toaster a 9/10 – It’s sturdy, durable, looks that part and most importantly it genuinely changed the way we cook on the road. It’s really an underrated item for the campervan and we don’t know why we haven’t used one before this, and now having one let’s us really speed up the process and reduce the stress of cooking large heart meals when on the road. You can also follow us on Instagram and Twitter for more Van Life stories and Cool Camper Conversions.